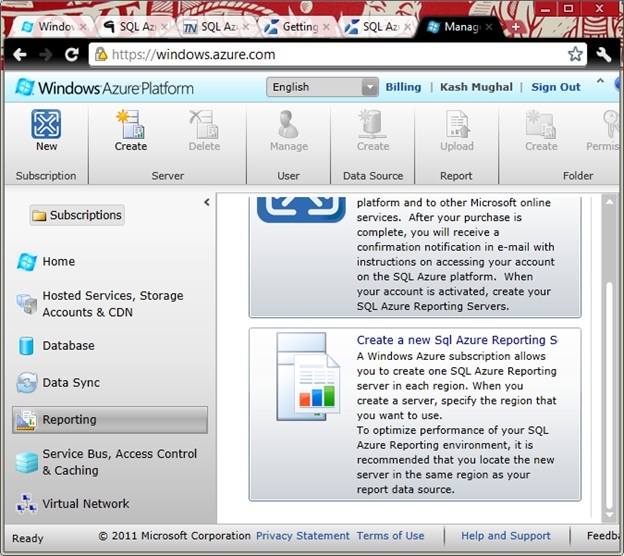 Using SQL Azure Reporting, you can deploy a reporting solution to the Windows Azure platform environment. This solution will not only use data from the cloud SQL Azure database, you will also be deploying the actual Azure report up to the cloud environment. This will make the Cloud database report accessible to all to the end users who can access the data via the internet. We are assuming you already have a Windows Azure account and that you have already setup a SQL Azure cloud database. If you have not, please read this blog post on the topic. Next we are going to create a SQL Azure Reporting server. 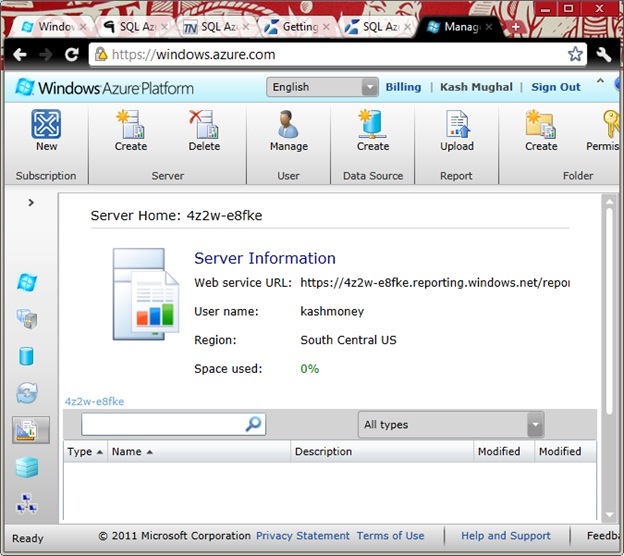 This will be used to render reports from our SQL Azure cloud database to the Windows Azure platform. 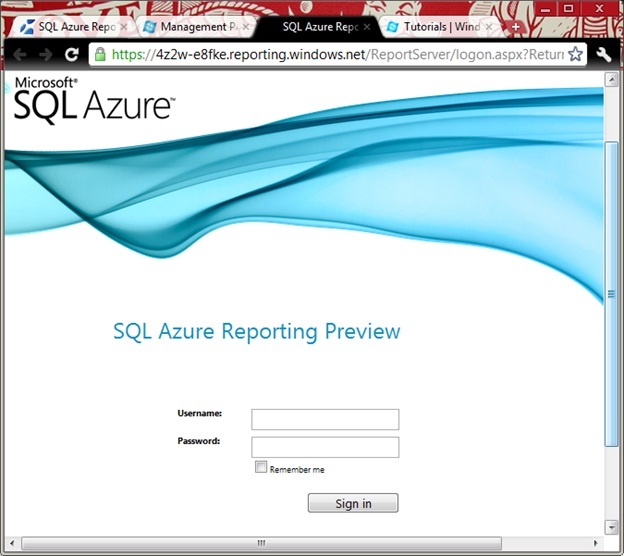 From the left menu, click on Reporting tab and then select Create a new SQL Azure Report Server from the right side. This is shown right below. 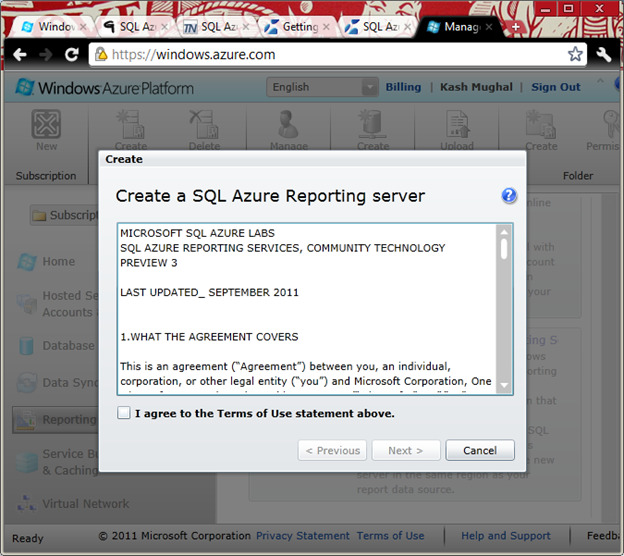 Next you will get the SQL Azure Reporting server agreement. Go ahead and click “I agree …” and then click Next. This is shown in the screen shot right below. In the next section, you can select the SQL Azure Subscription that you would like to use for the cloud database report. Select the Region for the SQL Azure Reporting Server should use. Ideally this location should be the same as the one you selected when you set up your original SQL Azure Server. Since we are in Dallas TX, we have listed ours as South Central US. This is shown right below. 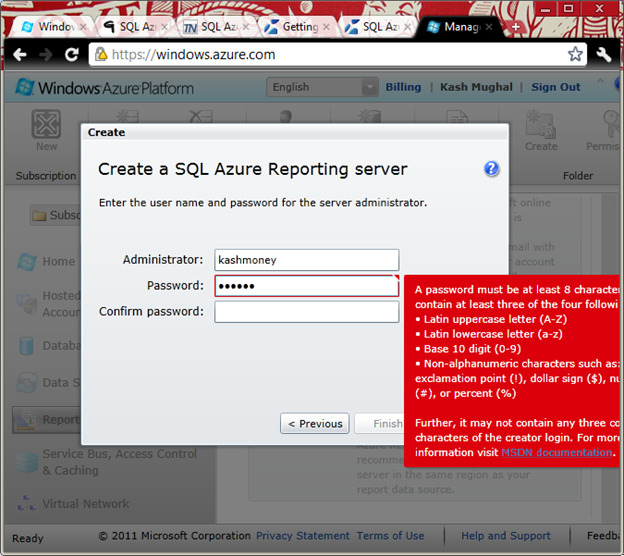 In the next step, we are going to setup the administrator account for SQL Azure Reporting Server. You will need to have a username and password for this account. We enter our account information in the next dialog box. Click Finish after this. Next it will go ahead and create the reporting server. In our case the Azure SQL Report Server has the web service URL are listed below. After we created the SQL Azure report server, we see the following options for Reporting Services tab. Finally lets go ahead and log into the SQL Azure Report Server. Go ahead and type the Web service URL for the reporting server that was provided to you. Enter the username and password to login. Here is what we see on our end. Once you login you should see something like this as follows. Notice we do not have any report folders or actual reports create just yet. We will do that in another blog post. This entry was posted in Reporting, SQL Azure tutorials, Windows Azure Platform and tagged SQL Azure Reporting, SQL Azure tutorials, Windows Azure. Bookmark the permalink. The SQL Azure Tutorials and SQL scripts told me exactly what I needed to know and helped me get the job done. Did not spend days online reading about it, followed along and just did it! Awesome training!! 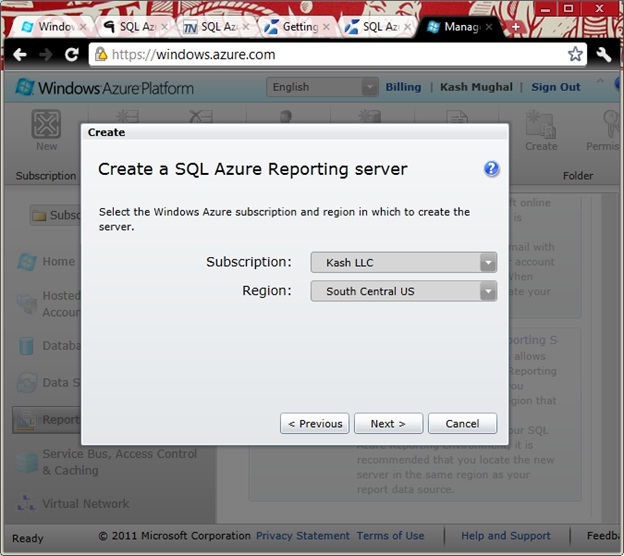 How to create Windows Azure SQL Database? Baghul on How to build a SQL Server Reporting Services report with SQL Azure?